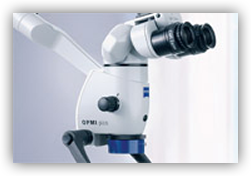 Our practice is equipped with Zeiss surgical microscopes in every treatment room. Zeiss® is the recognized world leader in advanced optics. The enhanced magnification and illumination of the operating microscope allows superior visualization of the finest detail in the tooth structure, thereby allowing us to perform the highly technical aspect of the endodontic treatment with the utmost precision. 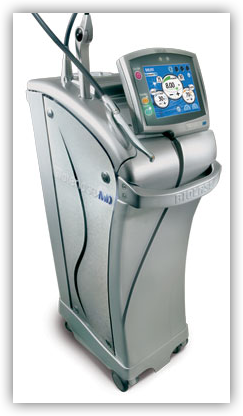 Our Waterlase MD laser system offers patients greater comfort, promotes faster healing and decreases postoperative pain for apical surgery. By their very nature, lasers can be used to reduce discomfort during and after apical surgery. Lasers even reduce bleeding and promote healing. Lasers are used to remove infected root end and can be done with greater control, smoother incisions, less bleeding, less tissue damage and less postoperative inflammation and pain. fractured teeth, periapical pathology, periodontal and endodontic combined lesions, resorptive defects and other diagnostic and treatment planning considerations have made 3D imaging valuable in helping endodontists present the best possible treatment options for their patients. Often times, the use of a 3D image with a CBCT can eliminate the need for an exploratory surgery or excessive removal of tooth structure. 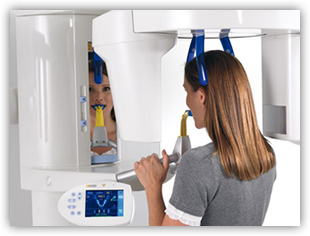 When required we use CBCT to help determine the best route of treatment for our patients. Utilizing the latest digital x-ray sensor technology, the Gendex eHD system delivers real time images of truly amazing clarity and detail-greatly supporting diagnosis and treatment in our office. Digital images appear instantly, providing our office with immediate feedback. 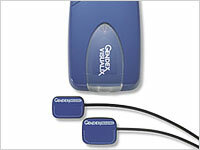 Digital x-rays also require about 50% less radiation to the patient for images than traditional film x-rays. In an emergency, valuable time is not wasted waiting for film to develop, allowing us to quickly attend to our patients.